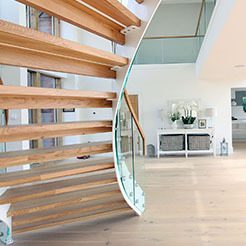 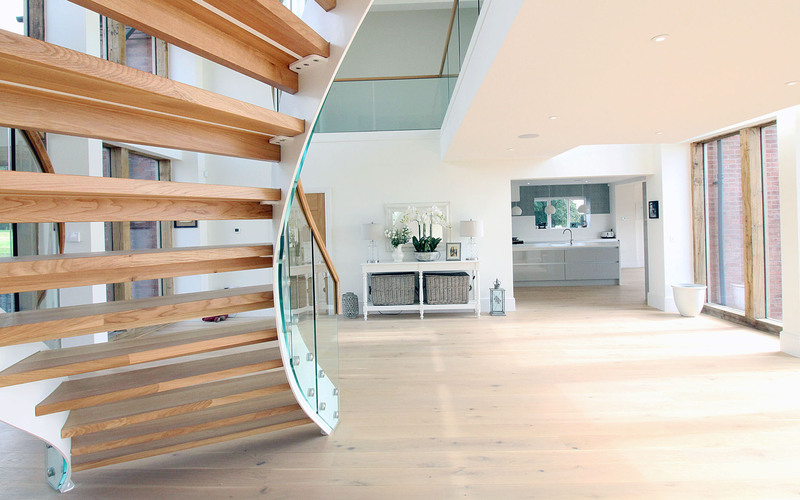 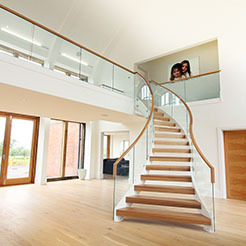 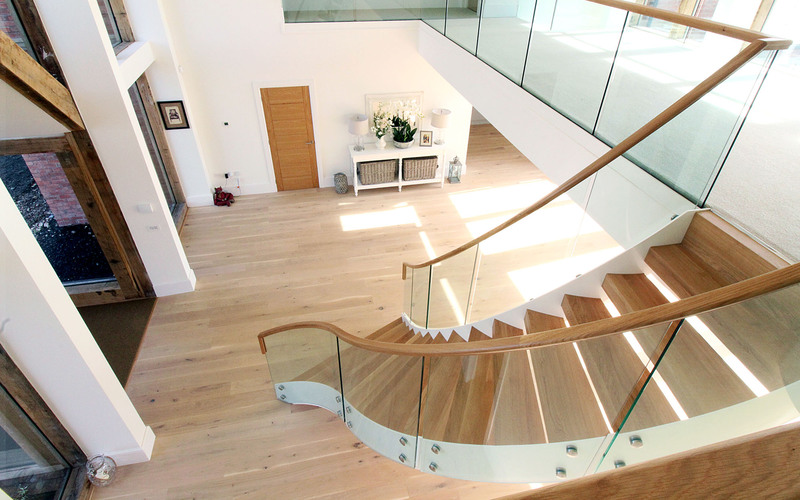 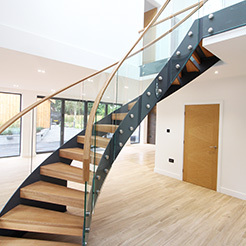 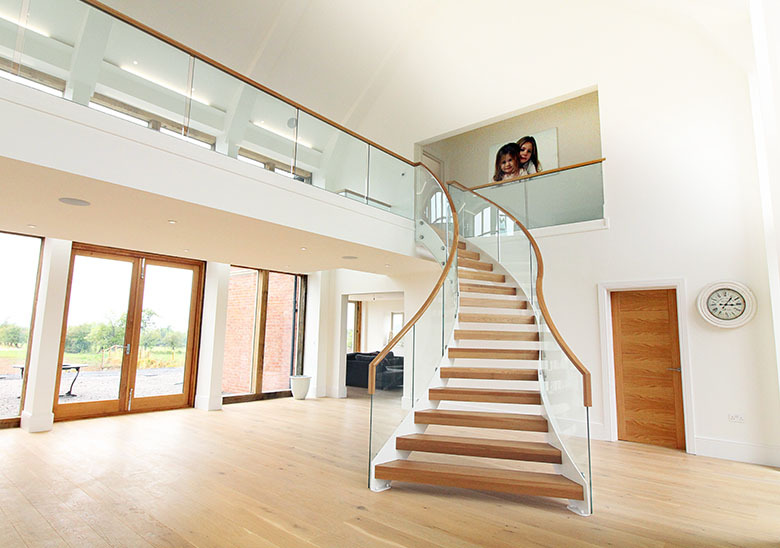 This sweeping curved staircase is the most sought-after design in the staircase industry. 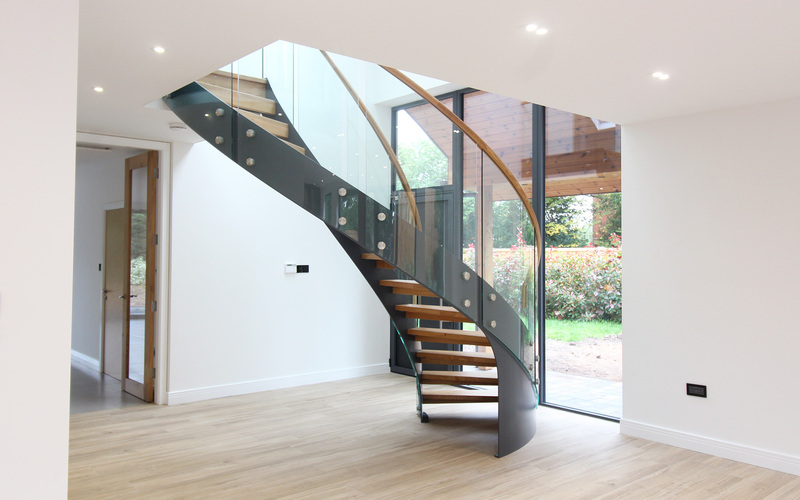 Its fluid design can be haped to work in harmony with any space, creating a completely unique design feature. 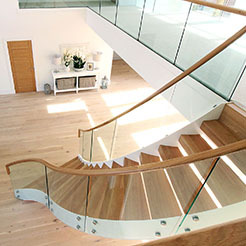 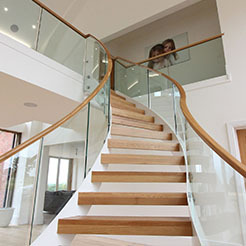 Our Curved staircase designs have been featured worldwide for their beauty and elegance. 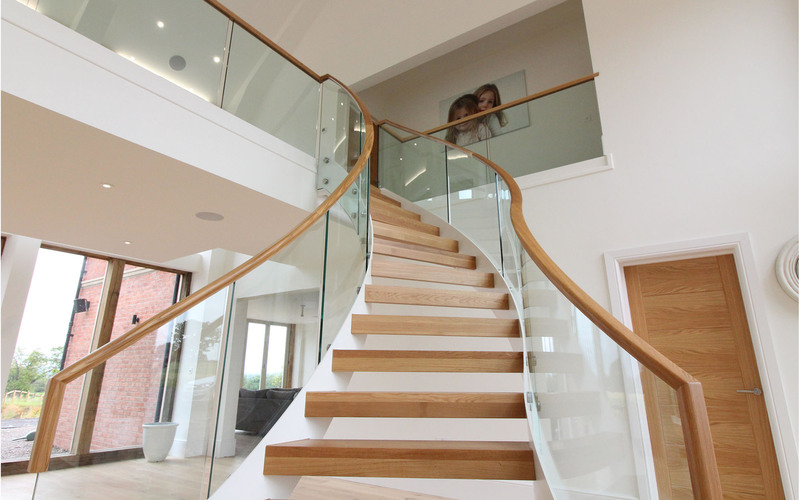 The soft sweeping lines of these structures can be designed to be a consistent curve or a variety of curves, allowing it to mould perfectly to the space in your home. 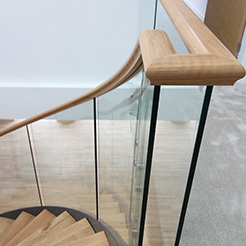 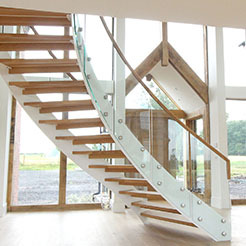 They are constructed using powder coated metal, with natural wooden elements in the treads and handrail. 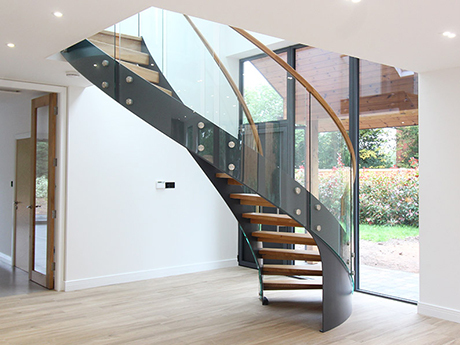 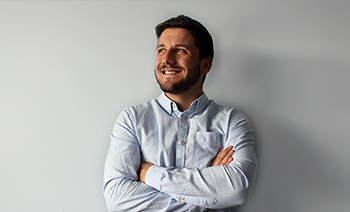 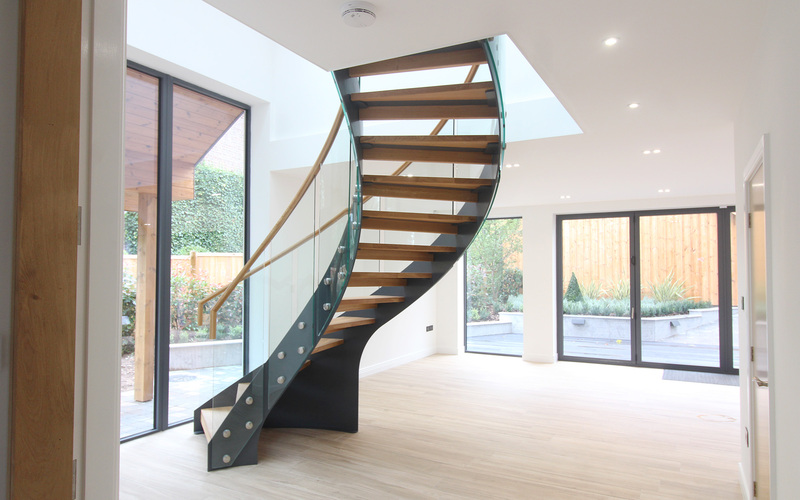 We recommend discussing your project with one of our designers as early as possible, as curved staircases require a lot of space and planning. 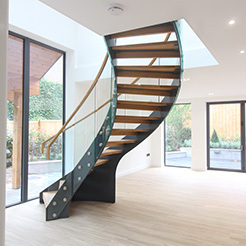 This way they can advise your architect about the spatial design of the Curve and ensure the most perfect outcome. 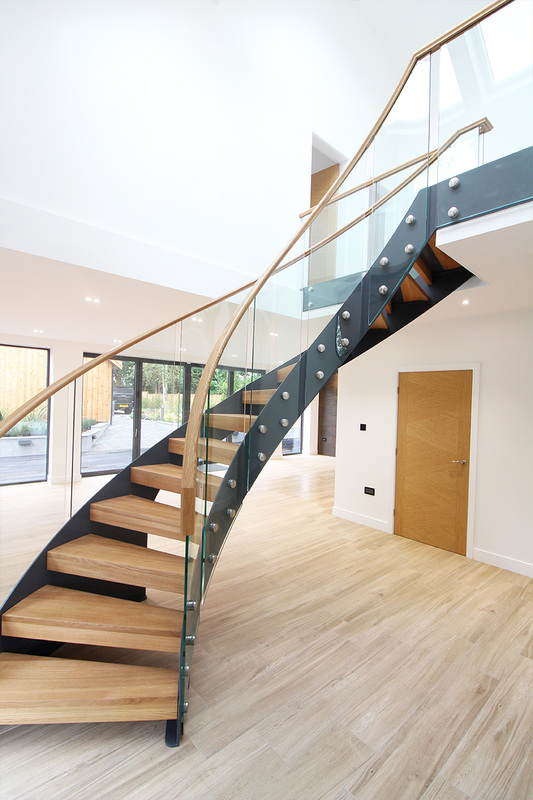 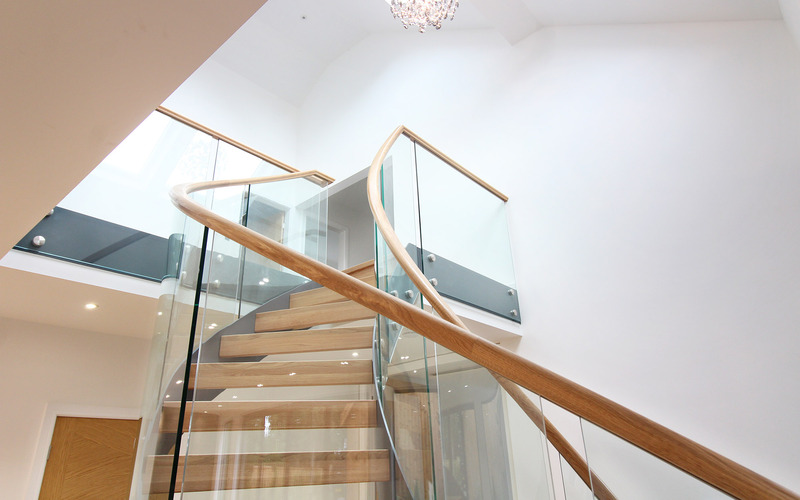 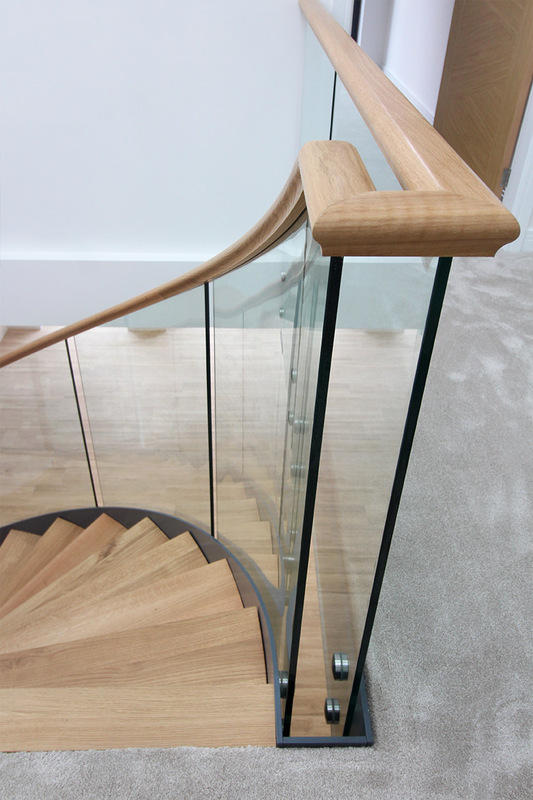 “My designs seem to evolve from project to project, but none are more challenging than our curved staircase range. 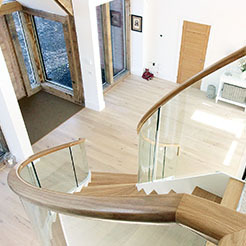 Every single detail is crucial when forming such a fluid shape to work in a customers unique space. 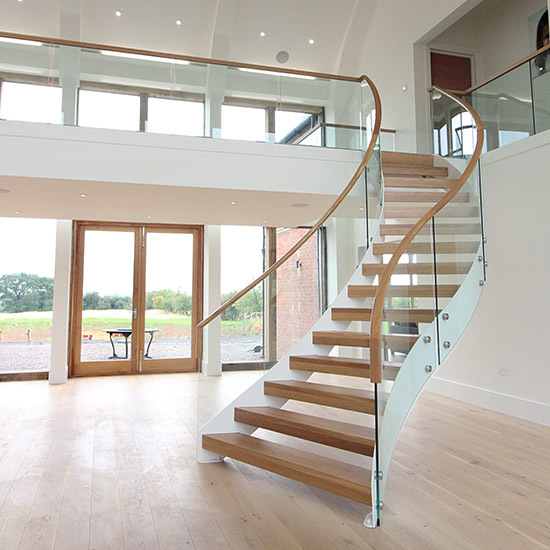 Mr and Mrs Gratton decided to build their family home on there existing plot of land behind a small barn conversion which they used to call home. 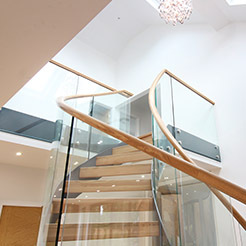 The original architect planned to have two feature staircases dominating the entrance hallway, obscuring views and disrupting what is the perfect space for entertaining. 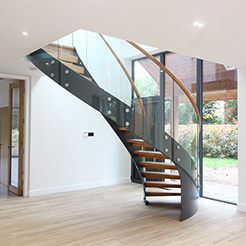 We knew that we had the solution for this home. 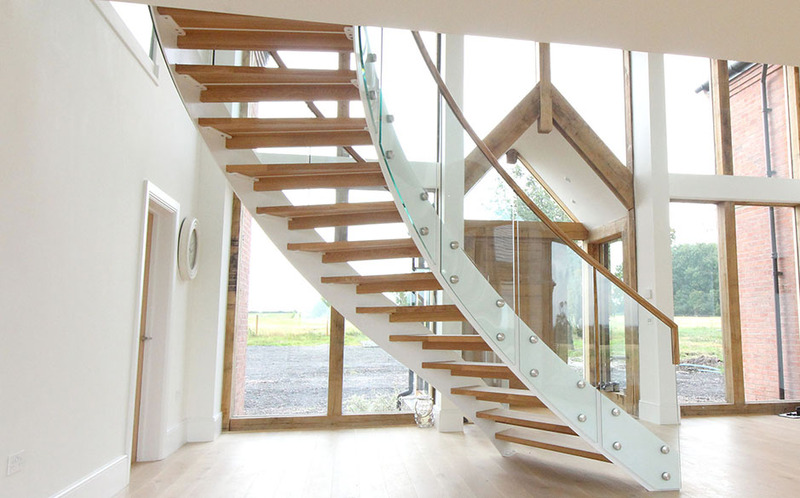 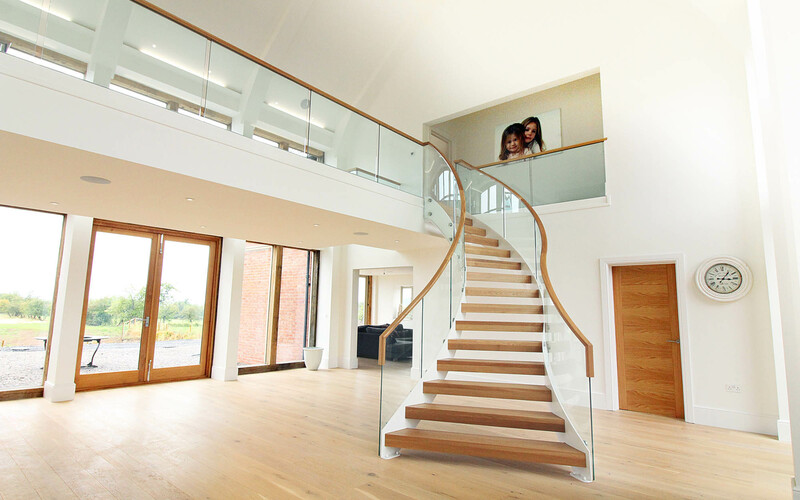 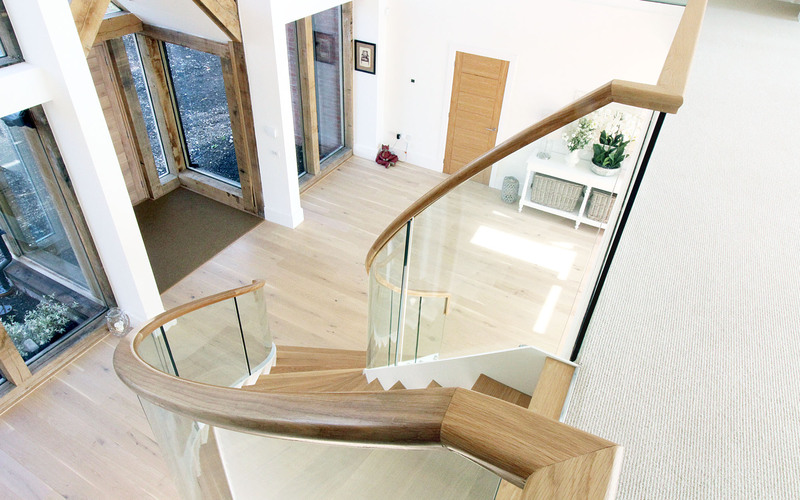 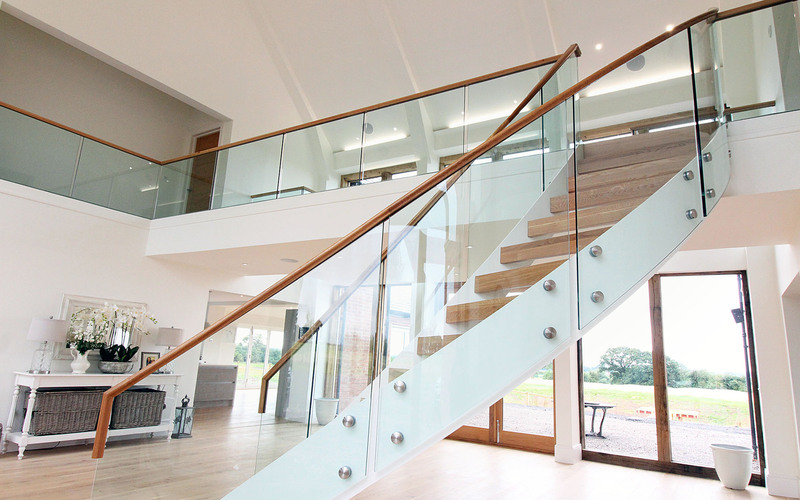 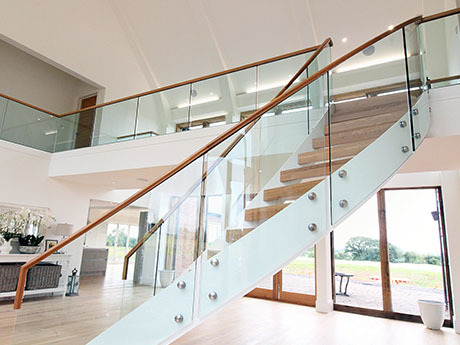 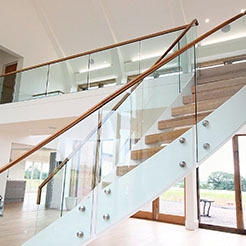 The views at Gratton Farm could not be disrupted, the staircase has to be open plan and must be secured with glass balustrades.